“There is a café here? 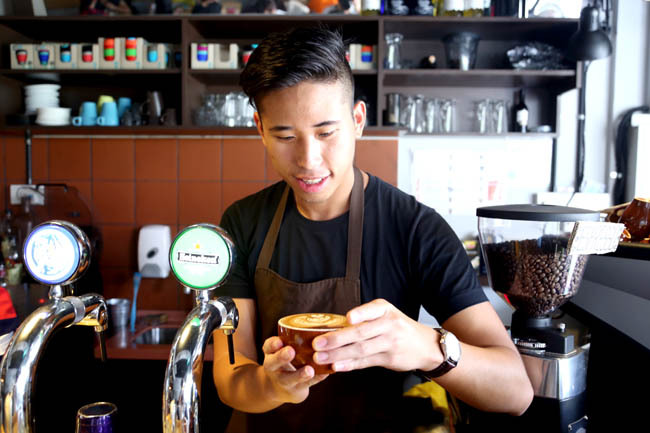 !” which almost proves the point that the new hipster cafes can open everywhere and anywhere. I was searching at the ground storey of Block 462 Crawford Lane, where people queue for famed bak chor mee and Wanton noodles nearby. 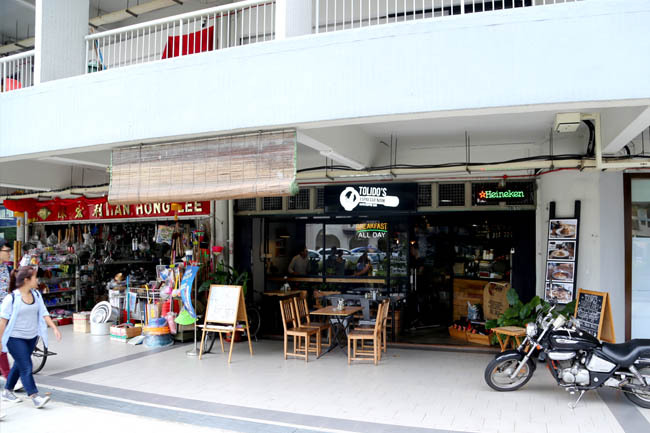 Indeed, there is Tolido’s Espresso Nook right next to a provision hardware store at the bottom of these older HDB estates. There is a motorbike outside the shop. Wait, is that decorative or really parked there? This is a level higher than the usual bicycles. 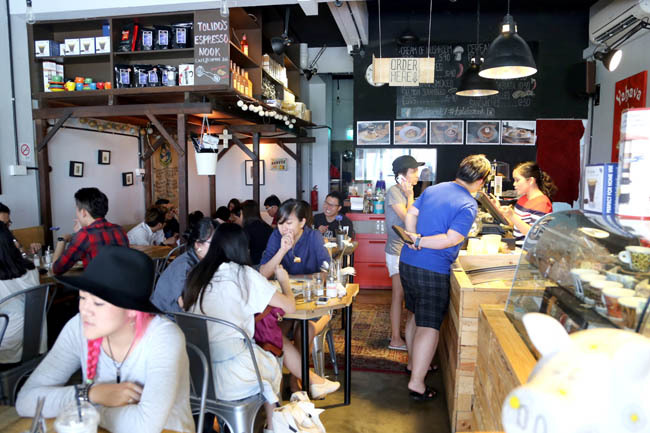 The café which had its beginnings from the Omni-Theatre at Singapore Science Centre, was packed to the brim during the weekdays. 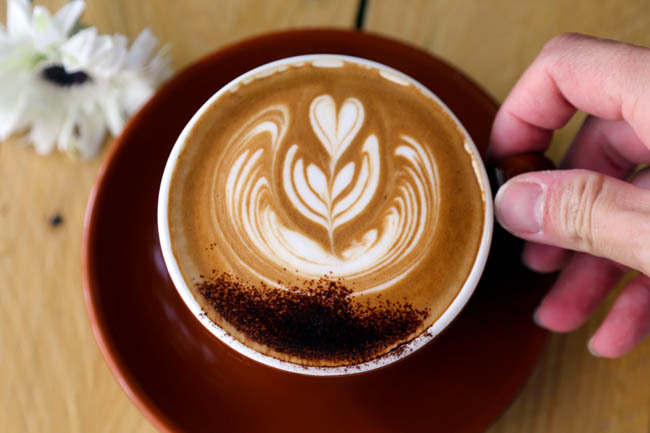 Coffee is indeed their strength – Latte, Flat White, Cappucino ($5.50), Mocha ($5.90), Bailey’s Coffee ($8.00), Irish Coffee ($8.00), with blends from Yahava Koffeework blends. I am not an expert coffee drinker, but can say I enjoyed my cup which was smooth, creamy and earthy, not overly bitter or acidic. The coffee art was of course pretty with details, pulled it with passion and attention (You can observe it from the barista’s hands and eyes). 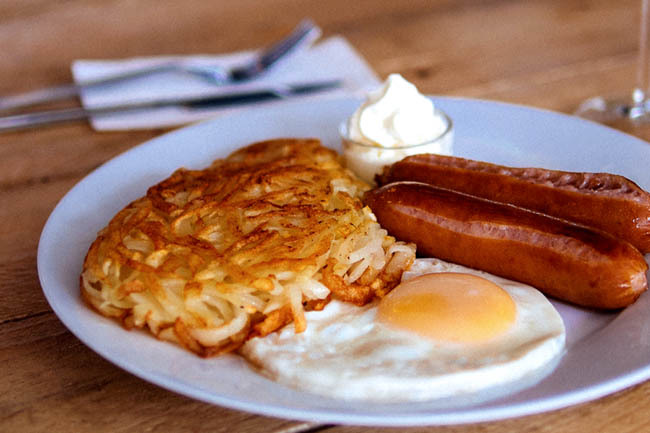 Food such as all-day breakfast, rosti, pastas and sandwiches are also served, cooked to order, all individually prepared. For those who are more inclined to elaborate brunch sets, their food could appear to be too simple, and easily assembled. 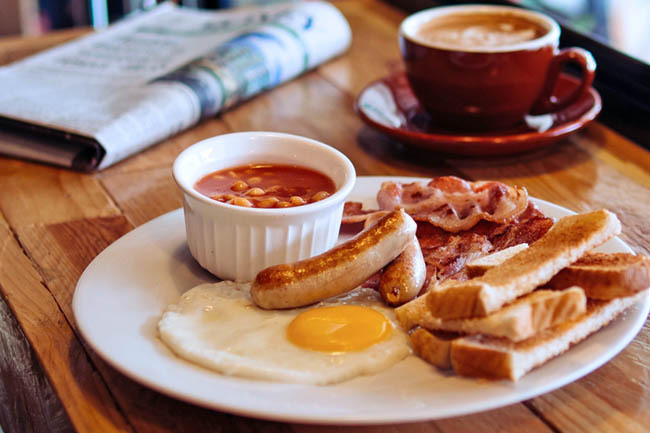 A friend commented that the Tolido’s American Breakfast ($8.90), with 2 chipolata sausages, pork bacon, baked beans and sunny side egg, was “Just okay” and could serve better artisanal bread rather than one which “tasted like Gardenia’s”. 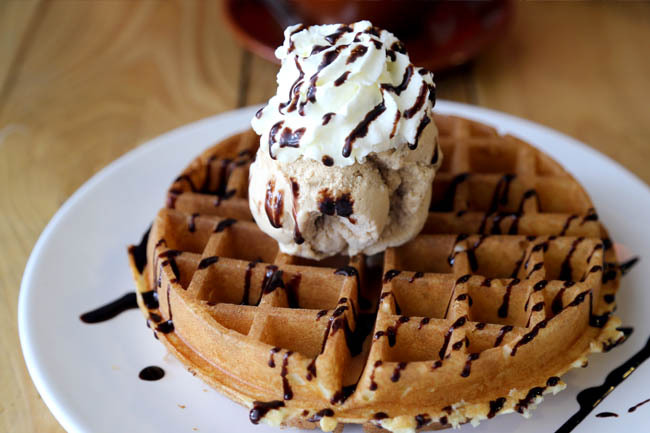 My Gelato Waffle ($7.10) while nothing to scream about, was better than the average – crisp on the outer layer, thick and soft. I was also pleasantly pleased it wasn’t horribly priced like some of the other cafes. There is a pleasant ambience at Tolido’s Espresso Nook with energetic vibes, and you sense sincerity. The owner was polite and friendly at entertaining requests. Good coffee and decent prices can be a reason to love this café. I love this place too! My review will be out in 3 months. haha.